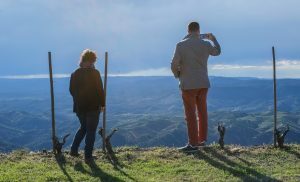 Visiting the Priorat is a must for all winelovers. Visiting it guided one by one with wineries like Clos Mogador or Mas Martinet is a privilege that is not available to everyone. 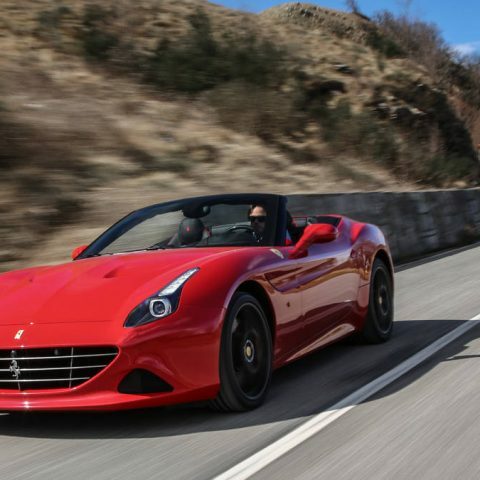 And do it with Barcelona By Road company, who take you by luxury vehicle with an english speaking driver, with all the benefits and amenities of a private winetour, is the best option during your vacation in Barcelona. 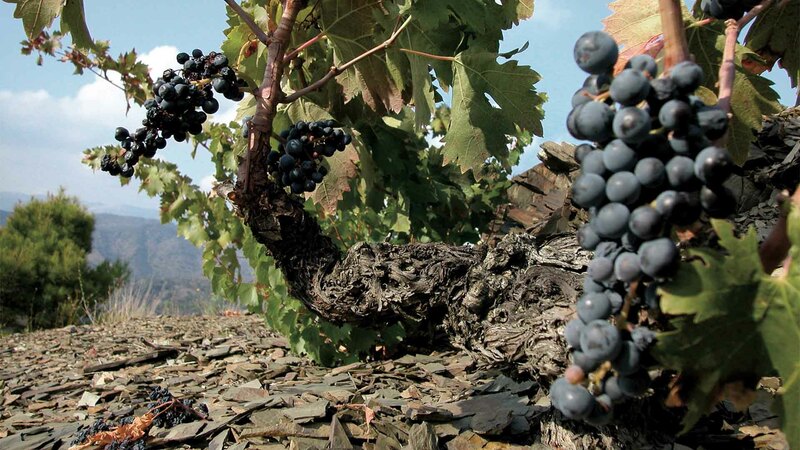 Until the 1980s, the Priorat was a hostile land. No one believed in those strong and rough wines or in those vineyards that defied the laws of physics and gravity. 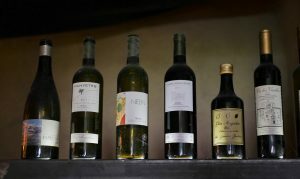 No one except a group of five young people (hippies and the enlightened) who in 1979 bet heavily on the Priorat and began to produce high quality wines that, over the years, would reach the top. 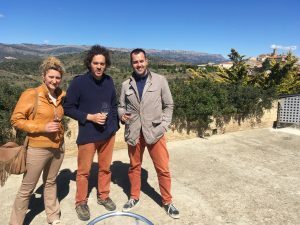 The Priorat of today would not exist without people like René Barbier, Álvaro Palacios, Dafne Glorian, Carles Pastrana or José Luis Pérez. 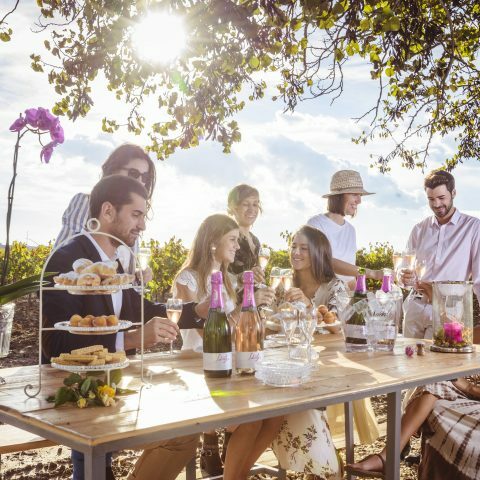 This group of Dreamers was already baptized like the 5 magnificent ones, and their wines – Clos Mogador, l’Ermita, Clos Erasmus, Clos de l’Obac or Clos Martinet, among others – have risen to the Olympus of the wine world with many of their wine creations between 95-100 Parker Points. 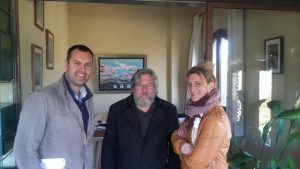 With René Barbier one of the 5 Magnificient Pioneers in Priorat. 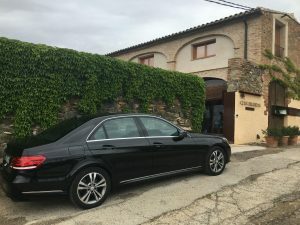 During our Wine Tour with Barcelona By Road, we started the day at René Barbier’s house, in the Clos Mogador winery, of Gratallops. There, his wife, Isabelle, and his eldest son René, an oenologist, welcomed us. René Barbier “the Founder” was also there, although he is gradually leaving the vineyards to his three children. 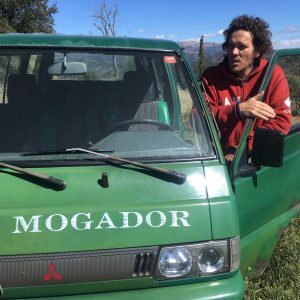 To understand the Priorat it is necessary to step on its vineyard and for this we Barbier’s old van(the same with which they arrived at the Priorat in the 70’s) and we drive to the farm where one of the wine cellar icons , The Clos Mogador, was born. For a few years, René Barbier Jr. and his brother Christian have been betting on a regenerative agriculture: Thus in the vineyards of Clos Mogador we can observe an intense vegetation cover, that has returned the balance and biodiversity to the environment. Underneath this green tapestry is one of the secrets of the Priorat: The Licorella, millenary slate floors that give a strong personality to the wines of this region. After the walk through the vineyards where we meet another of the 5 magnificent ones, Álvaro Palacios, it is time to visit the winery and taste its wines. 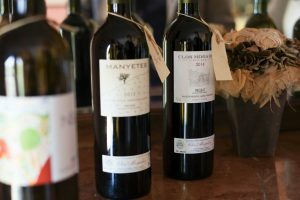 Clos Mogador produces only 40,000 bottles and has three references in the market: Clos Mogador and Manyetes red wines, and the white Nelin. “In our philosophy, the most important thing is the terroir and the respect of the Priorat. 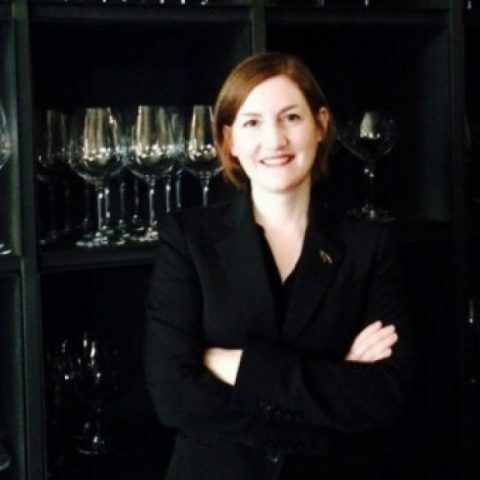 We have never tried to adapt to the taste of the consumer nor to become rich with second brands, we just want to make the best wine possible, “says Isabelle Barbier who says she is proud that her three children – René, Christian and Anderson – follow the same philosophy of his father. In this sense, René comments “Wine is something very simple, it’s fruit … I just want that, over the years, when you open a bottle of Clos Mogador you can say and feel ‘this is the Priorat.” At present, Rene Barbier is the son of all the wineries of the winery and his brother Christian is in charge of the vineyard. “In the end, but, it’s the bearded gentleman – referring to his father – who still makes the important decisions and gives that shapeless touch that makes us so special,” he says with a deep smile. The visit to Clos Mogador lasted almost three hours. The conversation is pleasant and the wines sublime. But the route must continue and Brots Restaurant is waiting for us. The restaurant is 20 minutes away, but it is worth the detour as we enjoy the beautiful landscape of the Priorat, one of the most characteristic and impressive in this region. The Private Tours of Barcelona By Road can boast of telling the best gastronomic experiences, like this one of Priorat. The chef of the Brots Restaurant, Pieter Truyts, can count on not one, two or three michelin stars … but with 11 !!! During his career he has worked in several Michelin starred restaurants in Belgium such as Comme Chez Soi, Hertog Jan or Met Molentje as well as the Catalan Can Bosch in Cambrils. For three years, he runs a small local in Poboleda and there are many voices that point to him as the future Michelin Star of Priorat. Already the appetizers surprise and prepare us for the festival. 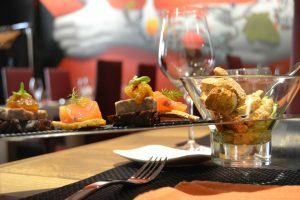 The dish is a scale reproduction of the chef’s hand – created by a local sculptor – who offers us some snacks to start and which are already a sample of the Catalan and Oriental influences of the owner. 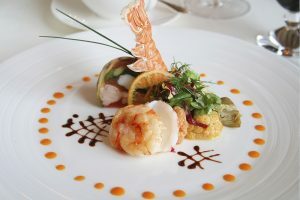 The dishes that follow are a mosaic of veggies with smoked tongue, a warm salad with topinambour and rock octopus or lamb at low temperature with its rissoto. 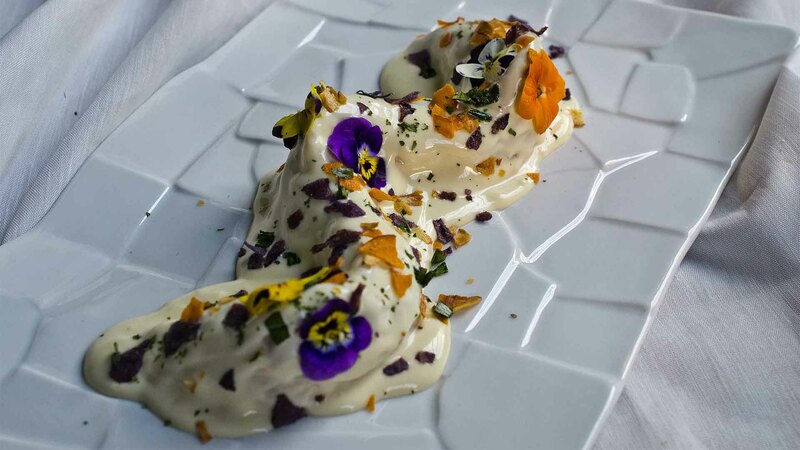 The desserts are not left behind and we are offered a refreshing ice cream of basil with passion fruit and marinated pineapple. In the words of the chef: “We try to offer natural author cuisine. I do not like jellies the kitchen. I look for very powerful tastes during the meal and refreshing desserts and I serve as much of the traditional and local influences as Oriental ones, “he says. To accompany the meal, we were served the wine ‘Ai ai ai’, made by the Numeros Vermells winery owned by the woman and partner of Truyts. After lunch, and to complete this magnificent day with Barcelona By Road, we went to Mas Martinet, another of the great wineries of the Priorat. 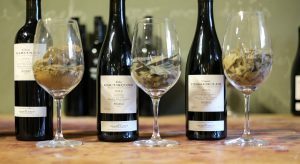 If in the group of five magnificent ones, René Barbier was the philosopher, the alchemist of the terroir, José Luís Pérez of Mas Martinet – a biologist by profession – represented the scientific part of the project. His daughter, Sara Perez (also a partner of René Barbier Jr.) has followed the legacy of his father and has raised him to a more organic and natural category. Proof of this is the estate Els Escurçons, where we went up to start the visit to Mas Martinet. “Sara bought this farm in the year 2000, just out of the University. 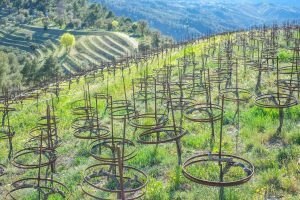 She planted Grenache and Syrah, parted the vines, created a complex irrigation system … She made a vineyard academically perfect. But soon she saw that it was not the way he wanted for his vineyards, “says Gemma Marco, responsible for communication and wine tourism. 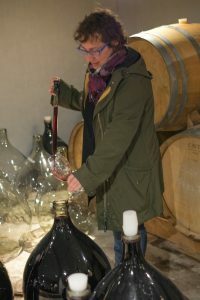 “In 2004, and after a revealing trip to Italy, decided to remove everything, leave only the garnacha, put it in glass and worked it more naturally,” she adds. 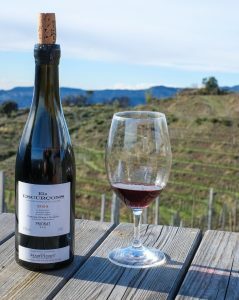 Els Escurçons is a wine made only with Grenache and with aging in earthen jars and glass jars. It has a sweet entry typical of the variety but a warrior end, proof of the tenacity of the one who created it. 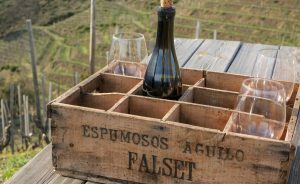 To do a Wine tasting “in situ” at the top of the farm, 600 meters above sea level and with all the Priorat at your feet, is a sublime experience worth living at least once in your lifetime. It is precisely in the cellar of Mas Martinet where we feel above all the restlessness and creativity of Sara (inheritance of the scientific spirit and investigative nature of her father). 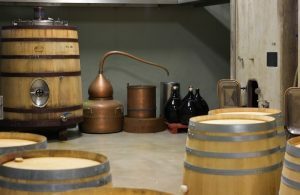 Cement deposits, stainless steel, “foudres”, barrels, clays, glass… you can see that they treat the wine with special care and in a very personalized way. Mas Martinet has three high-gamma references from their respective farms. Els Escurçons, single-varietal of Grenache, is perhaps the most savage. 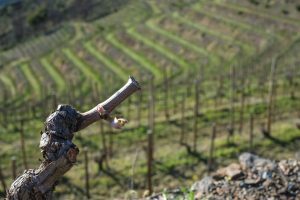 Camí Pessoroles, of Grenache and Cariñena, shows us the essence of the current Priorat. Clos Marinet has a more classic cut (incorporates varieties like Cabernet, Syrah and Merlot) but still remains the real icon of the house. After the visit, we only have to take the car and enjoy again, a little more, the sinuous and beautiful roads of the Priorat. We bought some wines and, above all, the experience of having met great people and having lived a five star Wine Tour with Barcelona By Road.